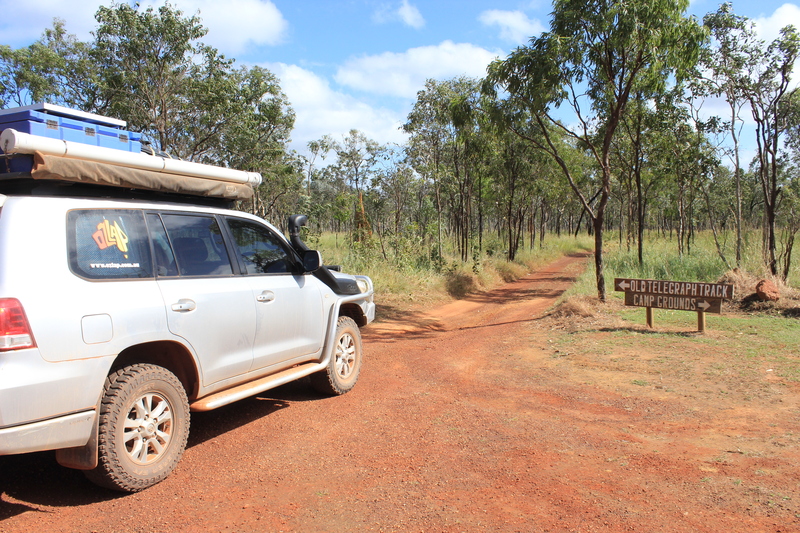 The drive from Weipa to Bramwell Station was a surprisingly smooth and short one, the road was immaculate and was actually a better run than most bitumen roads we had driven on. Given the distance was only about 150km, we arrived at Bramwell around lunchtime, after setting up we had a wander around the homestead and caught up on a bit of school. 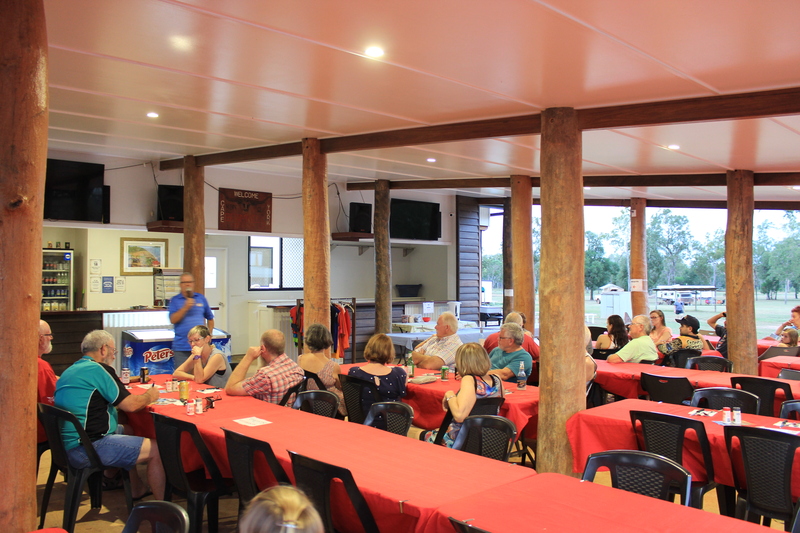 Bramwell Station also have a roadhouse on the actual main road where you can camp overnight, however we decided to stay at the homestead about 6km off the road, where they had meals at the restaurant, a talk about the station and live entertainment every night of the season. 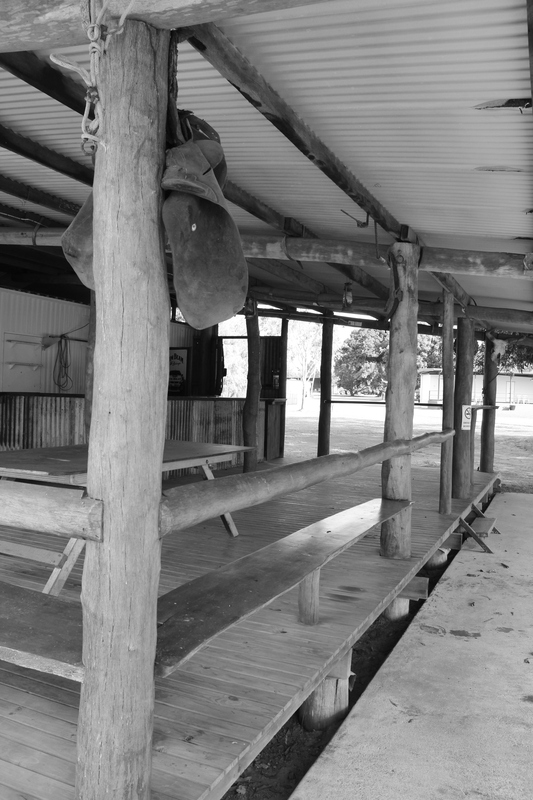 Bramwell Station is the most northern cattle station in Australia and is relatively small compared to others in the heart of Australia. It only runs 5ooo head of cattle due to the eastern section of the property being mostly marshy unhabitable country that the cattle won’t venture to. The station has an interesting history of ownership, with the original owner gifting it to an immigrant couple and an indigenous couple back in the 1950’s or 1960’s, which was unusual given that back then Indigenous people weren’t allowed to own any land and were considered ‘fauna’. 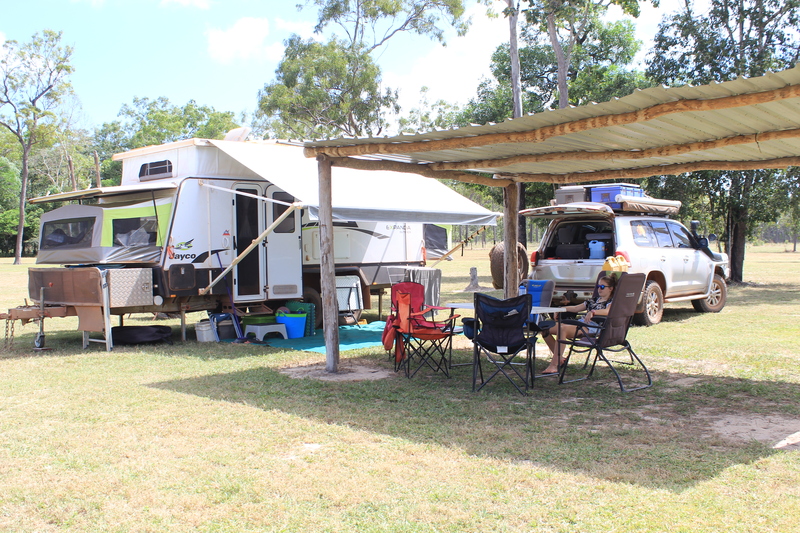 These days it is owned by a Cooktown born and bred woman who bought it at auction back in 2001, she has done an amazing job encourgaing tourism and spent a bit of money to get it up to scratch. 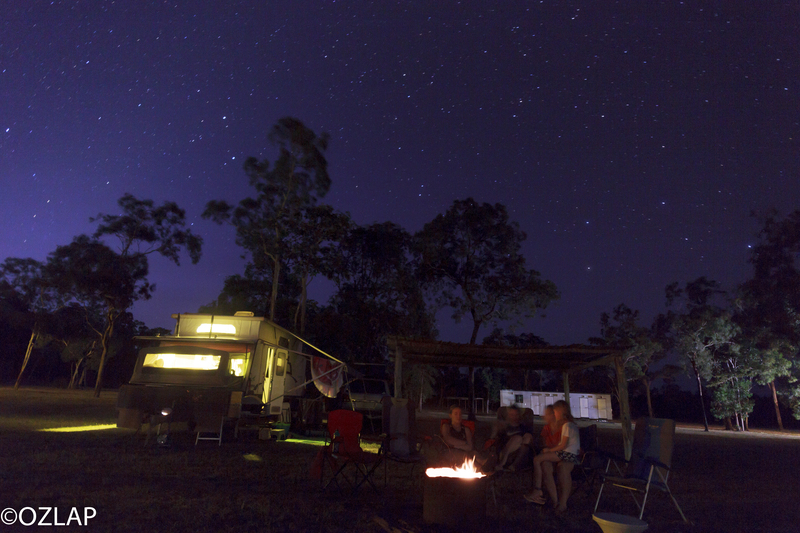 We were very impressed with the homestead and the facilities, it reminded us a lot of El Questro on the Gibb and is immaculately maintained. 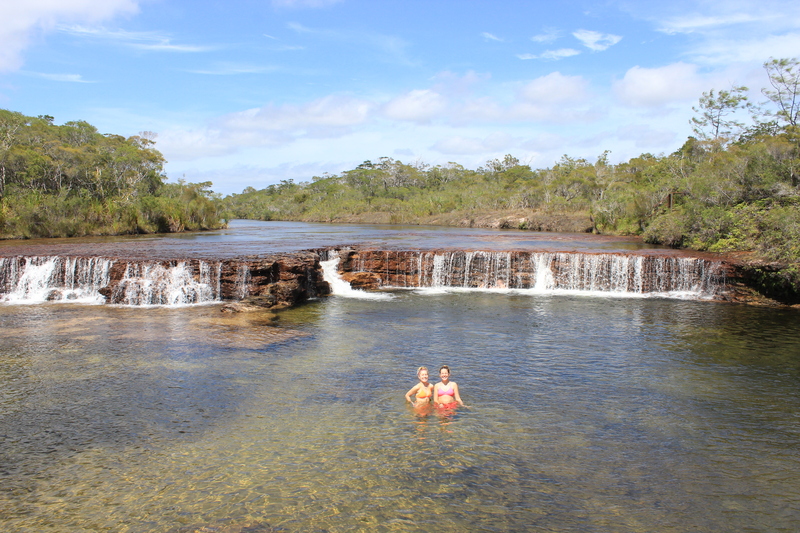 We had decided to stay a few nights at Bramwell, as it situated only a few kilometers from the southern section of the Old Telegraph Track (OTT), allowing us to head off for a day trip exploring the OTT. Long before this leg of our trip we had decided that we would have ‘a look’ at the OTT, however it was not the reason why we had ventured up to the Cape and therefore we would in no way risk our car or the rest of our Ozlap to conquer this iconic track, that sort of roadtrip could be done at another time in the future. After the usual photos of the car at the sign signalling the beginning of the OTT we excitingly set off to see what it had to offer. 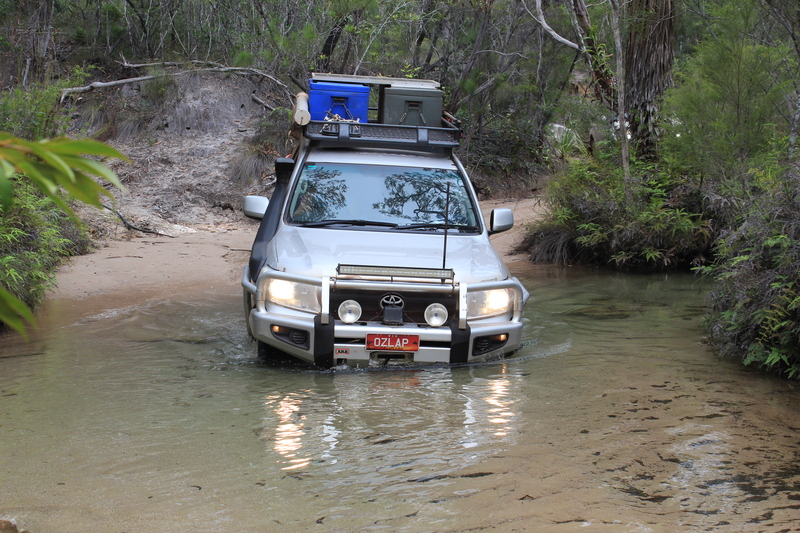 The first crossing, Palm Creek, was only a few kms from the start and we had arrived to find 2 other cars had already crossed it and another 2 were deciding whether to cross or not. The actual water part of the crossing was only a few feet deep and was crystal clear, so no crocs in this one, however the entrance and the exit were the challenge. We got out of the car and went and mingled with the other drivers and spoke to the people who had crossed, given the extensive drop off at the entrance, one of the cars had sustained some damage to their rear and towbar of the car, whilst the other car had to be winched up the exit side and as they were leaving we heard them on the CB saying that they heard ‘a rub somewhere underneath the car’. 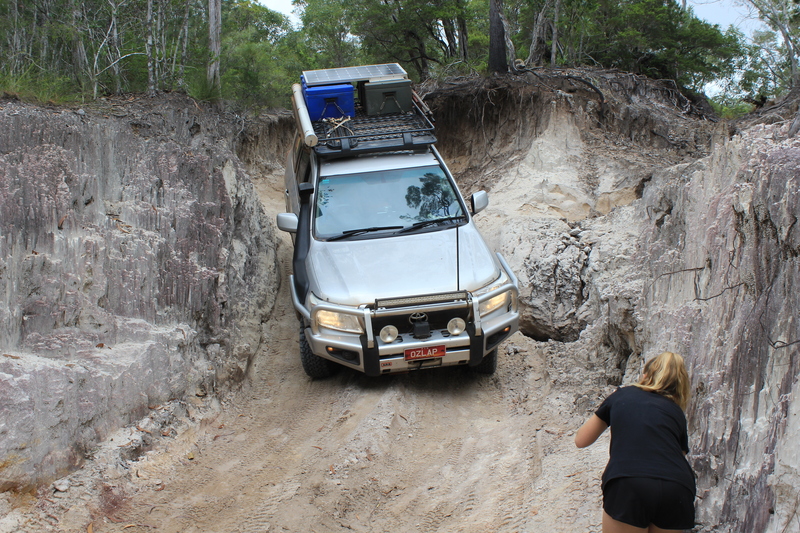 Together with the other 2 cars we decided to not tempt fate and after taking a few photos we turned back the way we came. 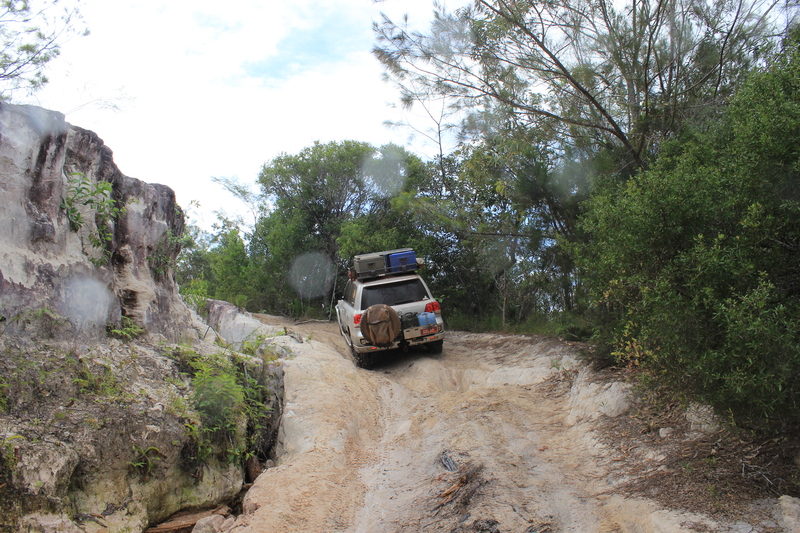 Given that the rest of the southern section didn’t have too many crossings, we then decided to head up the Southern Bypass Rd and cut back in halfway up the OTT via the rangers station and travel back about 10kms to the infamous Gunshot crossing. 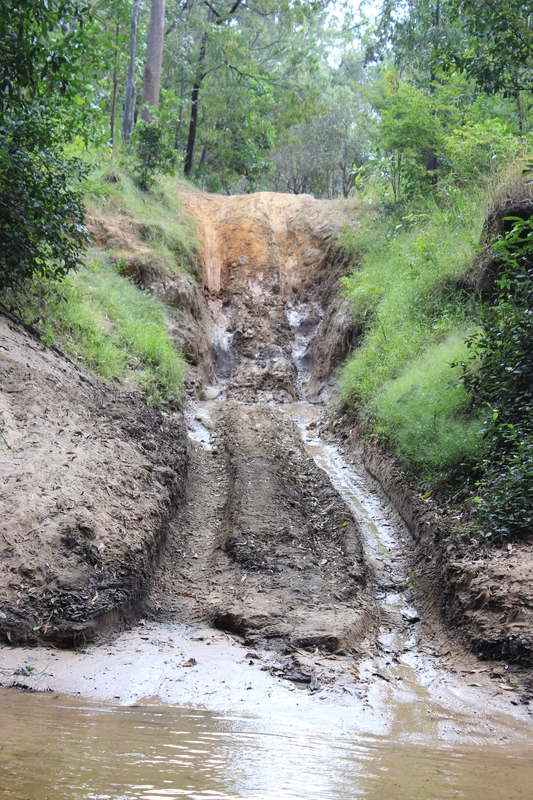 Once past the Rangers Station it was slow going along the washouts of the track and we eventually arrived at Gunshot just before lunch. 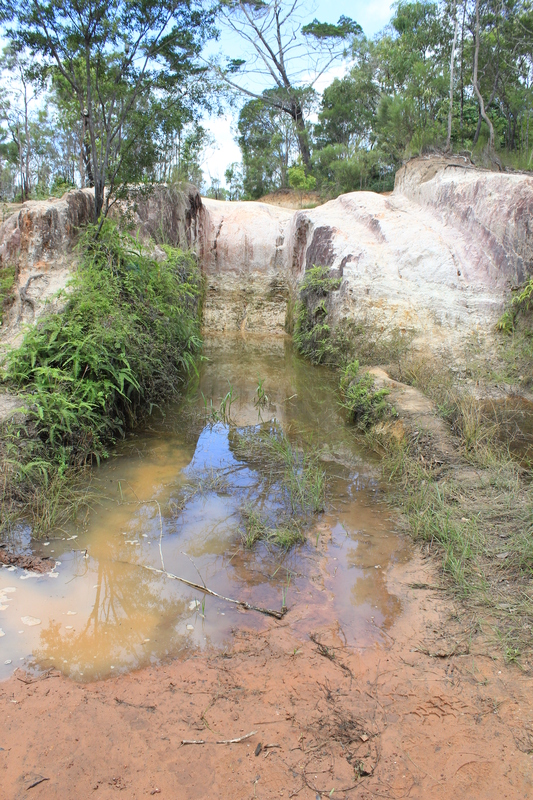 The Gunshot crossing is similar to Palm Creek with the water being crystal clear and only a few feet deep, the actual difficult ‘Gunshot’ part of the crossing is absolutely ridiculous and is pretty much a 3 metre 90 degree drop into a pit of mud and water……..the chicken track a few metres to its right however is relatively easily and makes it actually acheivable to any sane person who values their car. 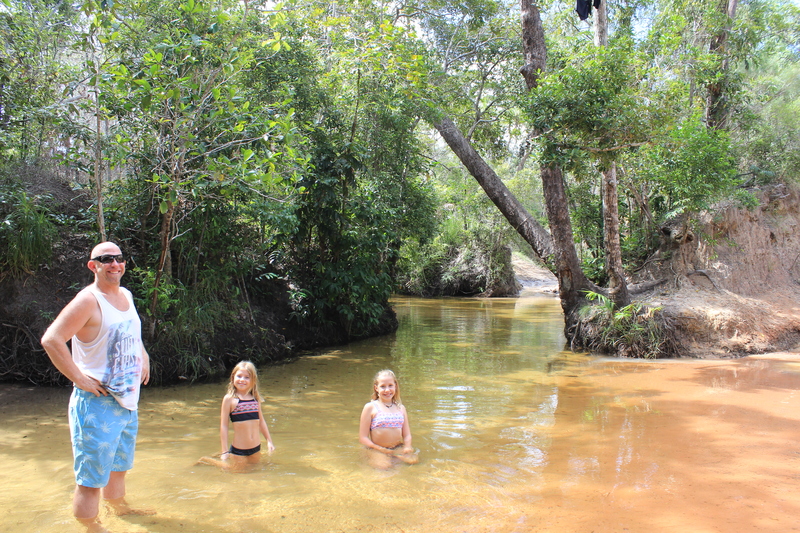 Given that it was lunchtime, we drove down into the creek and parked up alongside it out of the way to sit and eat and wait for cars to come through and entertain us, however much to our disapointment, not one car came through, however the girls did have fun cooling off in the creek. Apparently during the peak part of the season, up to 100 cars traverse the OTT every day, however clearly we were too early in the season to be entertained. 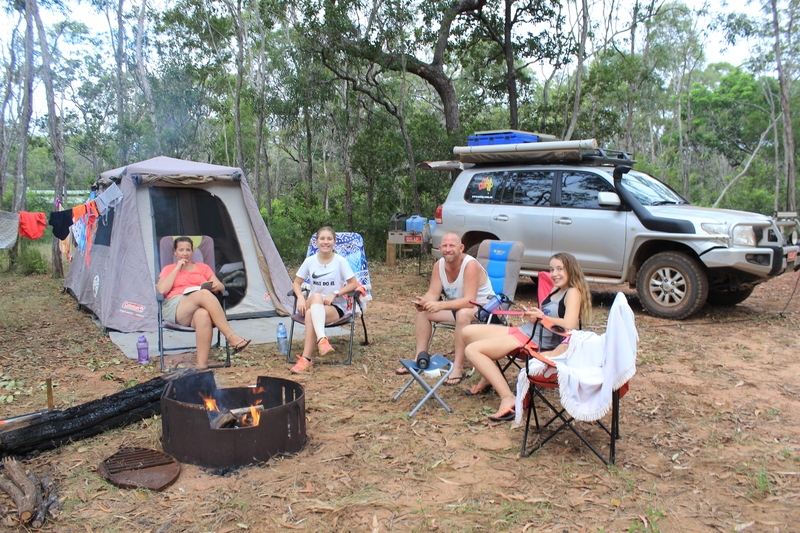 We had the decided to leave the van at Bramwell and spend a few nights ‘out camping’ in Eliot Falls, up on the northern section section of the OTT, we had to laugh as the two younger girls were so excited about ‘going away camping for a few days’ in the tent. 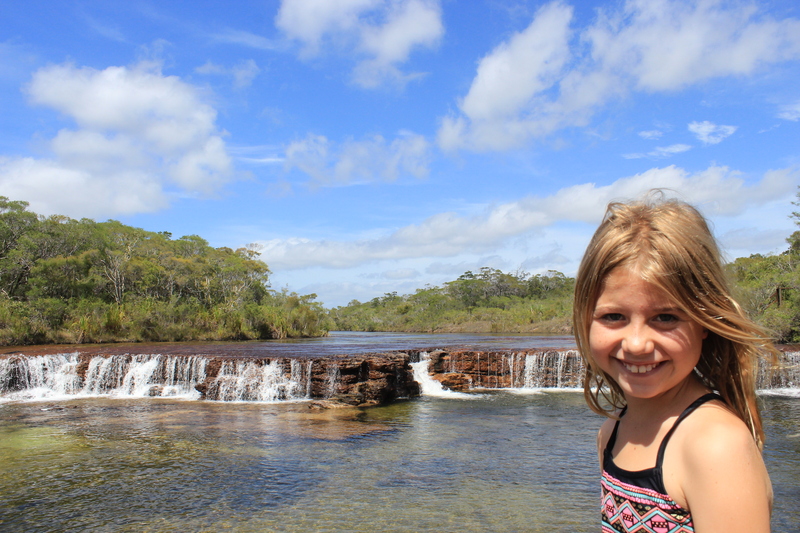 After strapping everything on and into the car, we headed 110kms up the Bamaga/ Bypass Rd to enter the northern section of the OTT, first heading to Fruit Bat Falls for some morning tea and a swim. As usual the photos we had seen hadn’t done the place justice, we were very impressed with the beauty of it and really enjoyed our swim there before the busloads of tourists starting coming in. From there we headed to our campsite at Eliot Falls campground, to set up and spend the rest of the afternoon swimming and relaxing in the crystal clear falls. Luckily there was only a few other people camped there as well so we pretty much had the falls to ourselves for most of the day. 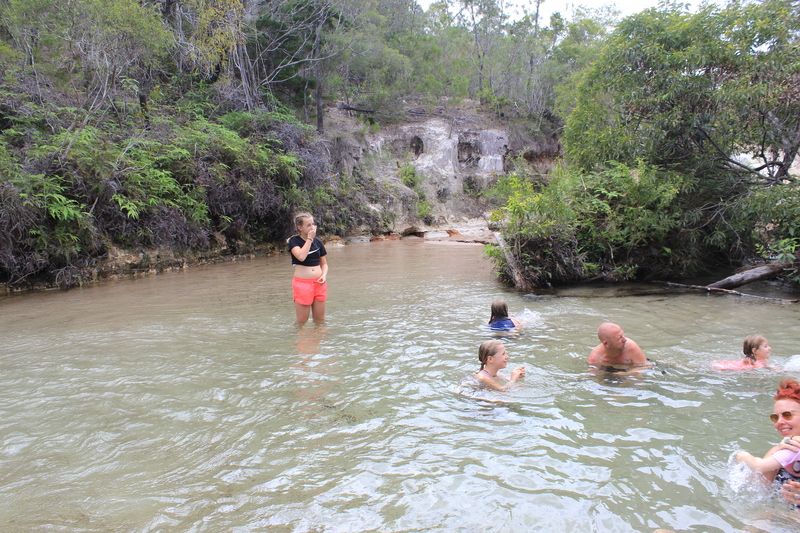 The next day, together with some new travelling mates, Darren and Wendy and their kids who we met at Bramwell, we headed off for a morning exploring the rest of the OTT. 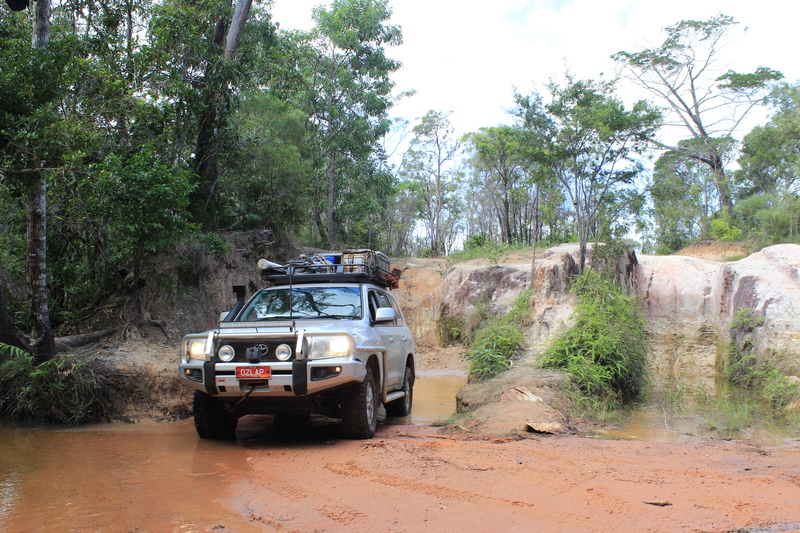 With our Hema Maps ‘Cape York’ held firmly in my hand (better than digging my fingernails into the dash) we headed into the first crossing of the day, Canal Creek. 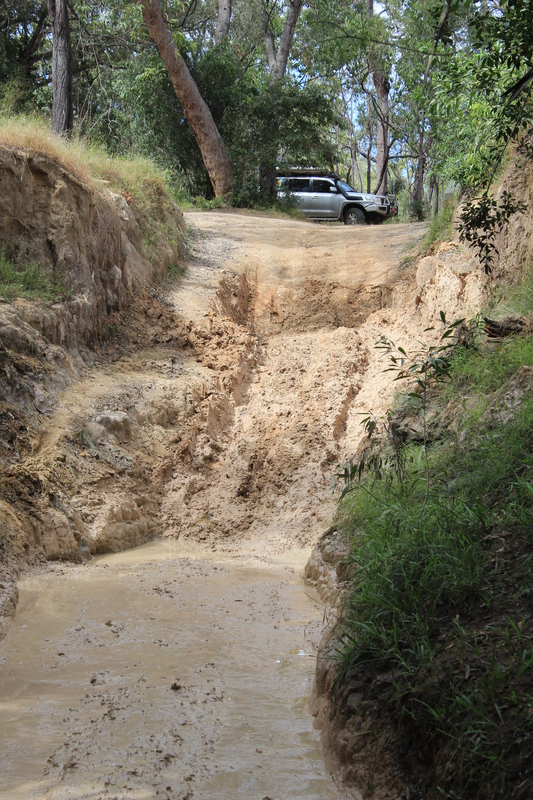 I will let the photos do the talking but needless to say the crossings weren’t too bad, none of them were too deep, it was more about the very steep entry and the exits and the many washouts and ruts in between the crossings. Thankfully our car was big enough and the wheels were wide enough that we could straddle the majority of them however I was required to walk in front of the car to guide us all through it. All in all it took us about 4 hours to travel 6kms, of course this included stopping for lunch and having a swim in one of the crystal clear creeks. 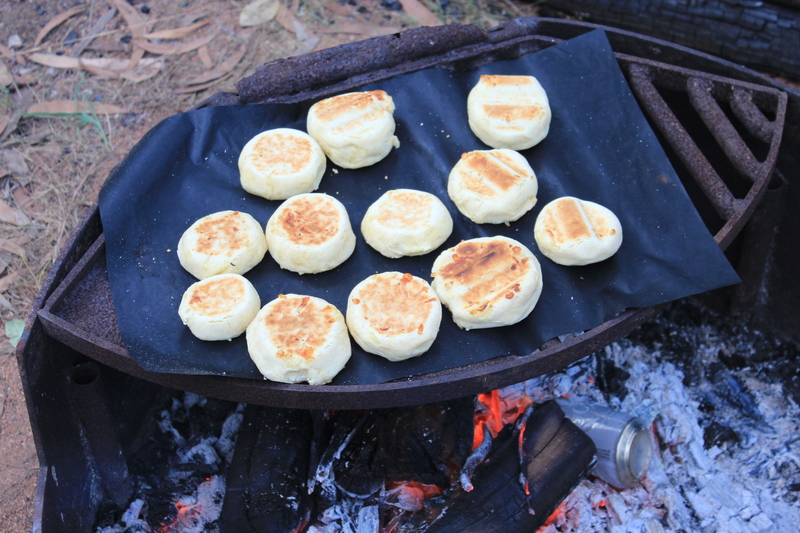 We had crossed Canal Creek, Sam Creek, Mistake Creek, Cannibal Creek and lastly Cypress Creek and decided to call it a day there, we then turned around and went through the whole process again. 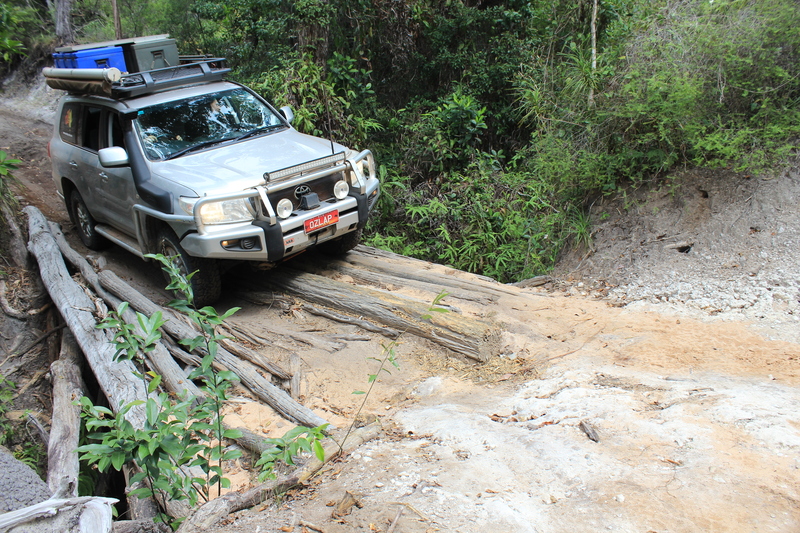 We had decided to not push onto Nolans Brook, as we had heard of at least 6 cars in the last week, that had attempted the extremely deep crossing and had actually flooded their car and all had to get towed out and up to Seisa, which is an expensive excursion as the tow truck charges start at $1000 to get you off the OTT and just out to the Bamaga/ Bypass Rd. 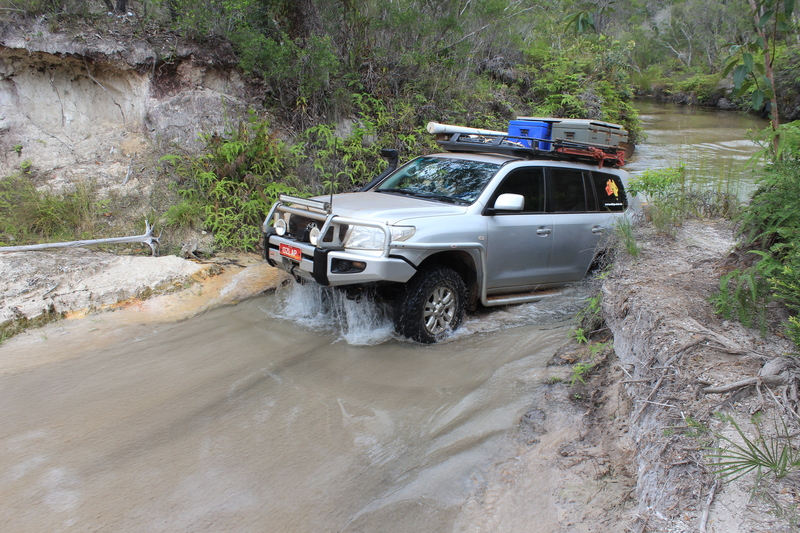 Some of the drivers were able to dry out their cars, but others were not so lucky, including a brand new 200 series Landcruiser. We even ended up chatting to one of the guys who had a fairly new Hilux which he had flooded and written off and was at the caravan park in Seisia when we were there trying to organise to get his insurance payout so he could get his trailer put on the barge and catch a flight home, then buy another car….. 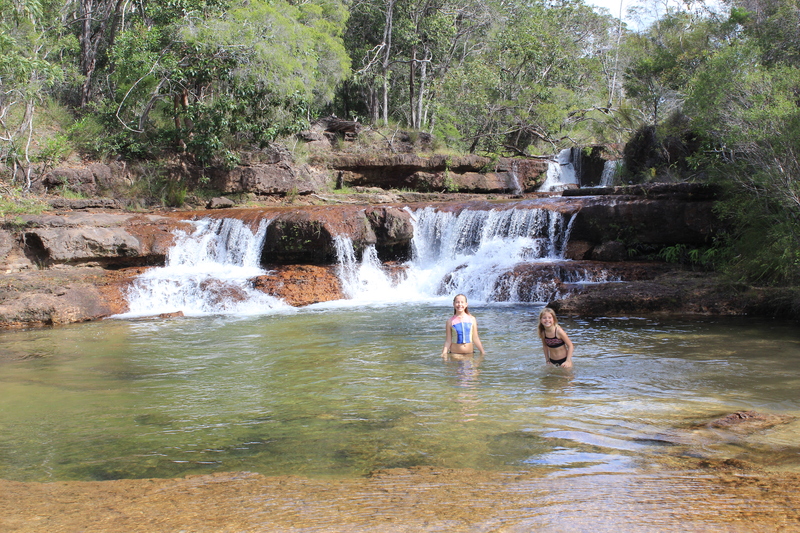 The next day we had a last swim in Eliot Falls before we packed up, calling into Fruit Bat Falls for a final swim as well, before heading back to Bramwell Station to get the van and do a few loads of washing. Given that it had been a few days since we had run out of and eaten vegetables we decided to treat ourselves and booked into the restaurant for a buffet of Sausages, steaks, Sheperds Pie, mountains of vegetables and bowls and bowls of different salads, topped off with desert of Apple Crumble and custard. 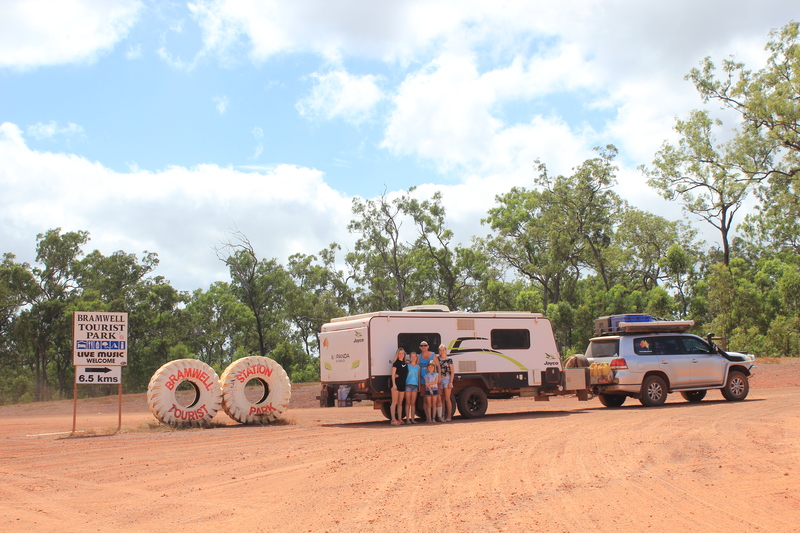 We then headed off north again the following day for our next destination and adventure on our OZLAP…..
Next Next post: The Tip, Cape York, QLD.